Part of the GreenTech Integrated Bed Bug Management Program. Detect and monitor before and after heat treatments. Use SenSci detectors in immediate infestation areas and adjoining structures and units. Easy to use and monitor. Discreet design that fits into any room or setting, clear bottom allows for quick and easy inspection, maintenance free, designed to prevent dust formation. 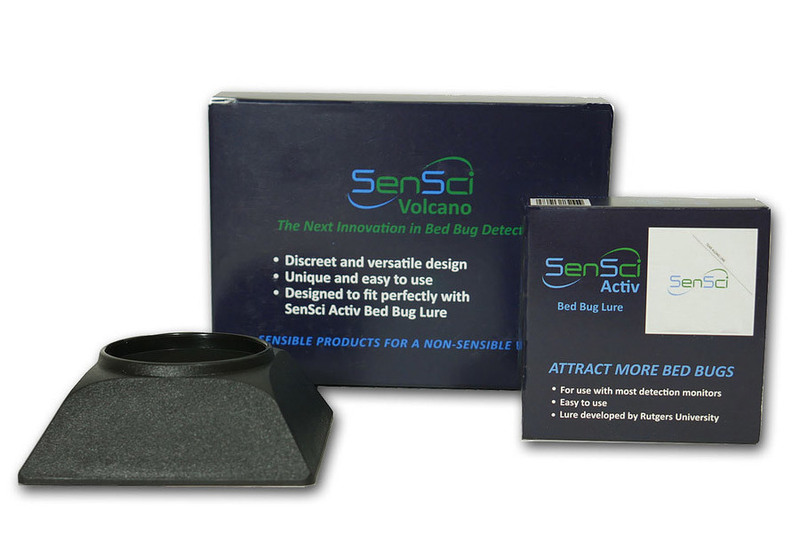 When SenSci Volcano is used together with SenSci Activ, a lure developed by Rutgers University, the combination creates a highly-effective and easy-to-use bed bug monitor that effortlessly blends into the environment. For use with SenSci Volcano Bed Bug detectors. 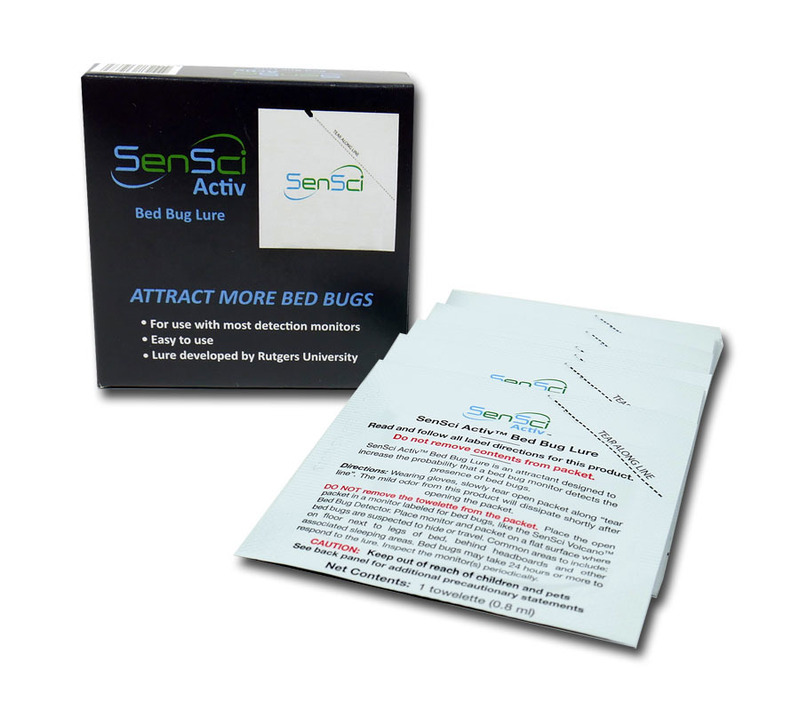 SenSci Active Bed Bug Lure is an attractant designed to increase the probability that a bed bug monitor detects the presence of bed bugs. Use bed bug detectors with lure after heat treatments for continued monitoring. Use detectors for adjoining rooms. Quickly find migration paths.